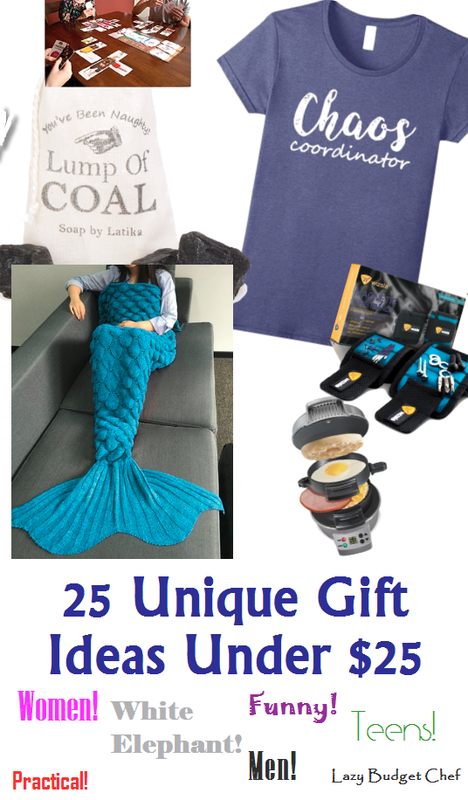 Many of the holiday gift ideas on this list are either things I own, gifted to someone else, or put on my personal Christmas list to Santa and like so much that I have no problem recommending them to you (and using my affiliate links.) Thank you for helping me keep the lights on at Lazy Budget Chef! Bears vs. Babies: Is a card party game from the Oatmeal the creators of the game Exploding Kittens This is a family friendly card game where you build crazy monsters who need to defeat an army of babies. I have this game (Exploding Kittens too) and play this with my teenage nephews. Not only did they say they liked playing it but hinted they might like to own it too. Crochet Mermaid Tail Blanket – this cozy throw comes in a variety of colors and a backpack and a mermaid necklace as present. Zipper Pocket Infinity Scarf is mad genius for those times you need to carry stuff and don't want to take a purse. 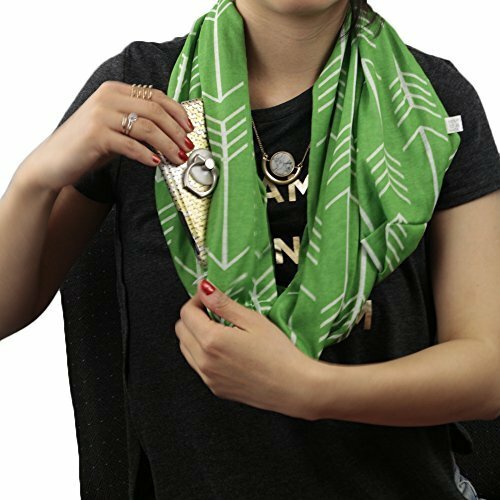 This infinity scarf comes in a variety of patterns and colors and features a small and a large zipper pocket to hold your phone, keys, wallet or cosmetics, allowing you to move around with your hands free. When you're done, you can fold the wrap up to create the clutch purse. I bought one for travel and love it so much I gave it to girl friends as a Christmas gift. Bag of Coal Soap These cheeky little lumps of "coal" are cleverly disguised handmade vegan charcoal soap that comes with a sealed certificate of Naughty from Santa. In My Defense I Was Left Unsupervised T shirt It’s funny how your entire life can be summed up a t shirt or is that just me? 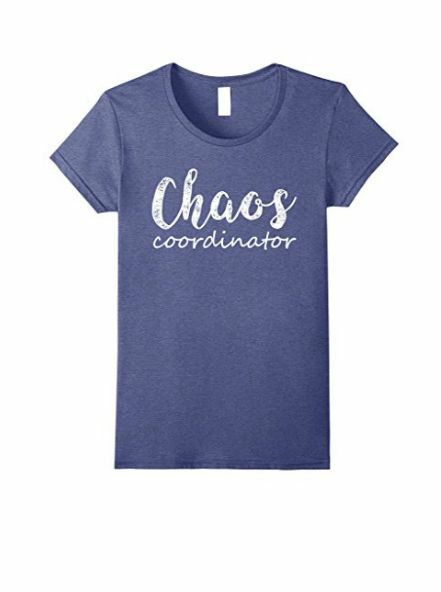 Available in Men’s and Women’s style and sizes. Wizsla Magnetic Wristbands This set of two will hold and keep track of stray screws, nails, sewing pins, drill bits, etc. while you are working on a project. Very Unique Gift Idea for DIY Handyman or crafter! Breakfast Sandwich Maker - Use your own fresh ingredients to make sandwiches with English muffins, biscuits, small bagels and more in 5 minutes. All removable parts are dishwasher safe; surfaces are covered with durable, nonstick coating. A great gift idea for college students! Microwave Popcorn Popper – Gives you the convenience of microwave popcorn without all of the questionable extra ingredients, waste, and expense of buying it bagged. Great Northern Popcorn Premium Old Glory Red White And Blue Variety Pack – I inhale popcorn and can tell you how much better this pack of northern popcorn "old glory" autumn rough, winter white, and summer blue sky variety pack tastes regular yellow grocery store popcorn. Grown in the USA. 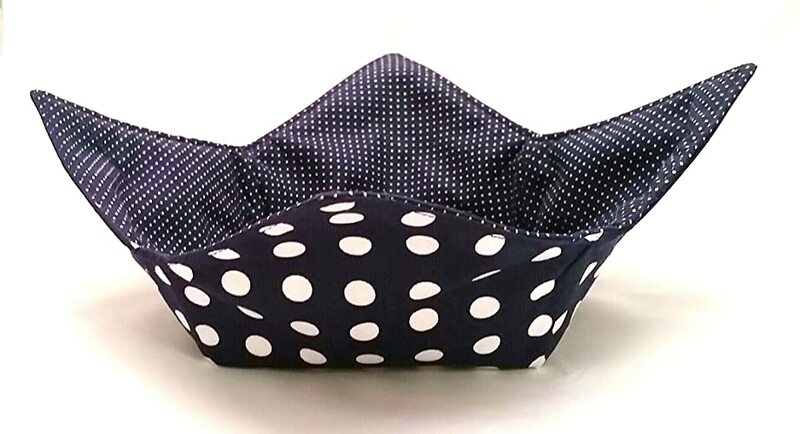 Microwave Bowl Cozy This three piece handmade set is great for retrieving those bowls you need to heat up and then take out of the microwave without burning your fingers! I also use my set to hold hot soup and chili bowls at the table so little ones are less likely to burn their fingers. 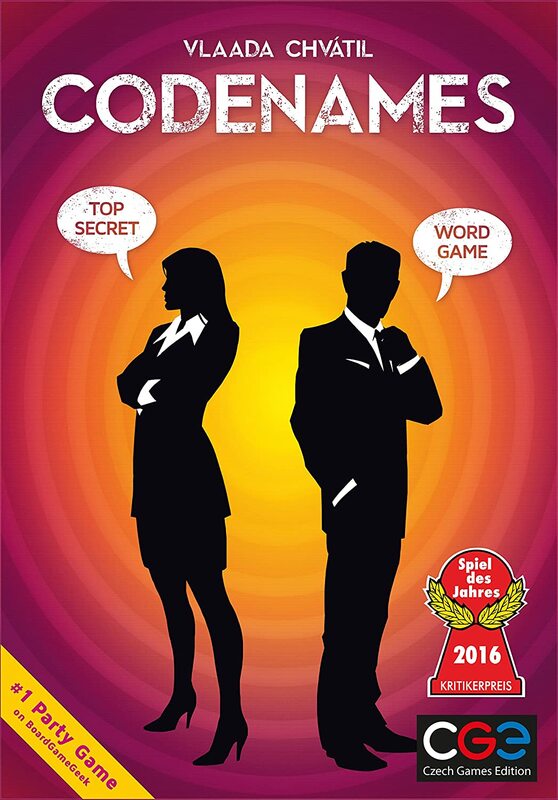 Codenames – Codenames is a social word game I play with my board game group. Two rival spymasters know the secret identities of 25 agents. Their teammates know the agents only by their code names. The teams compete to see who can make contact with all of their agents first similar to Concentration but much more fun. Does it work? I’m not sure but it makes me insanely happy when I turn it on and look at it on my desk as I type. 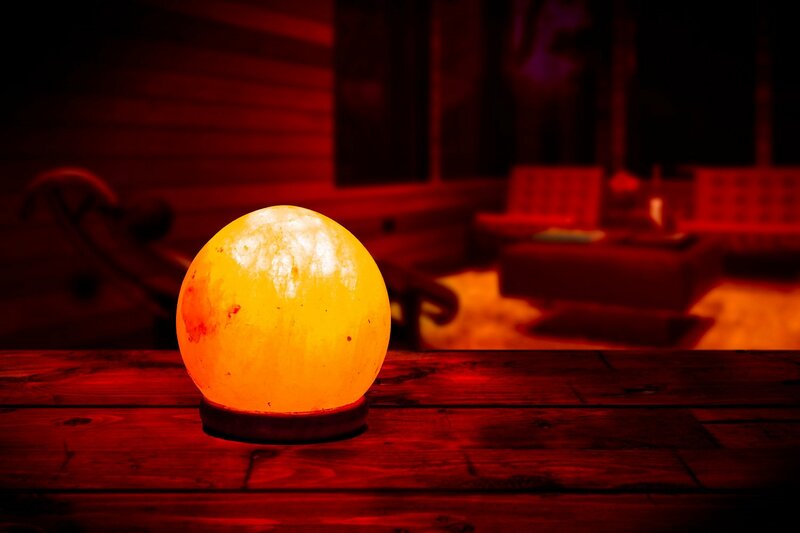 Whether you want it for the supposed ion balancing properties or for a pretty source of ambient light or for something to bring a smile to your face because it looks like the planet Mars or Gallifray when lit, it is sure to be a hit. I'M ONE TOUGH MOTHER Tank Top – Wear it as a work out shirt or for life in general. Also available as a T shirt. 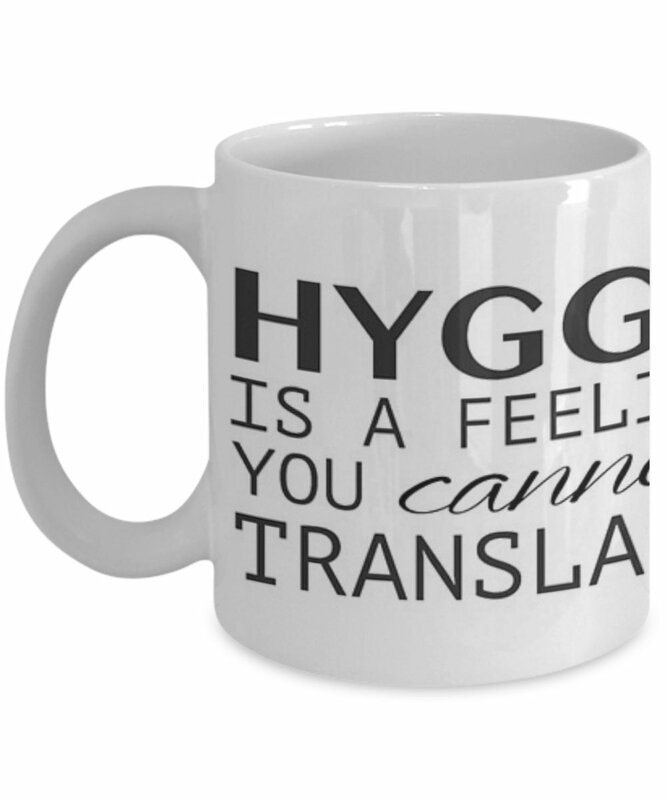 Hygge Is A Feeling You Cannot Translate Mug - As a Danish American it doesn’t feel like Christmas without the hygge – the Danish concept of cozy happy contentment. This mug is just the thing to share a cup of tea or cocoa and snuggle with you favorite hyggling. Air Plant Tillandsia Bromeliads Kit Teardrop Terrarium - doesn’t require soil, just air, water, and love. The perfect plant, even for the not-so-green thumbs! Iron Cooking Fish - infuses your food with up to seven additional milligrams of iron. (That's more than a third of what you need each day to keep you feeling up to snuff.) Just drop him into a one-liter pot of liquid with a bit of citrus added, boil for ten minutes, and pull him back out. Add your ingredients, cook, and presto! You've got a tasty, iron-rich meal on your hands. A thoughtful gift for vegetarians, vegans or anyone else who needs more iron in their diet. Smoke Detector Deactivation Towel - For those times when you use the smoke detector going off to tell when dinner is ready. Seed Money Watch your money grow! The seeds embedded in these paper coins will sprout into flowers, herbs and veggies. You Showed Up Gold Metal Trophy - Award your favorite special snowflake this funny Good for You! You showed up award so every one get a trophy.